This puts GN-z11 at a distance that was once thought only to be reachable with the upcoming NASA/ESA/CSA James Webb Space Telescope (JWST) . The combination of observations taken by Hubble and Spitzer revealed that the infant galaxy is 25 times smaller than the Milky Way and has just one percent of our galaxy’s mass in stars. 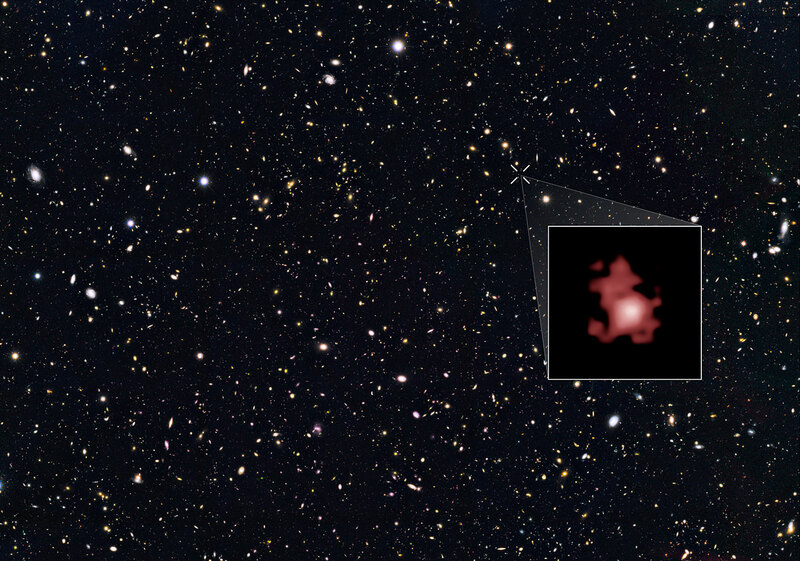 However, the number of stars in the newborn GN-z11 is growing fast: The galaxy is forming stars at a rate about 20 times greater than the Milky Way does today . 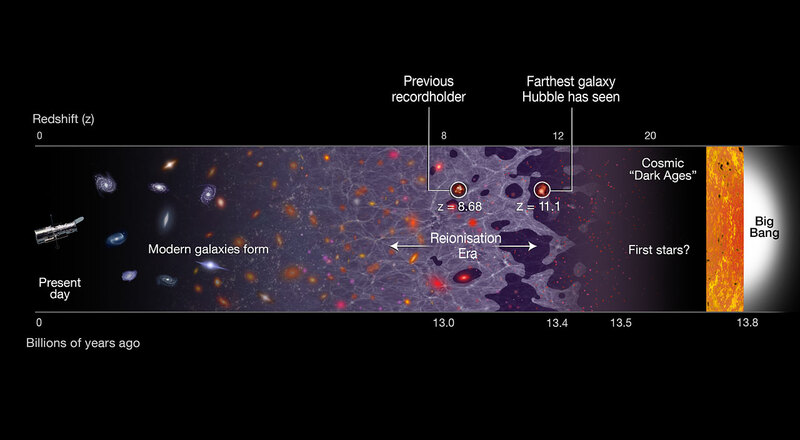 This high star formation rate makes the remote galaxy bright enough for Hubble to see and to perform detailed observations. The NASA/ESA/CSA James Webb Space Telescope is a collaboration between NASA, the European Space Agency (ESA) and the Canadian Space Agency (CSA). It is scheduled for launch in 2018. GN-z11 transforms about 24 solar masses of gas and dust per year into new stars.